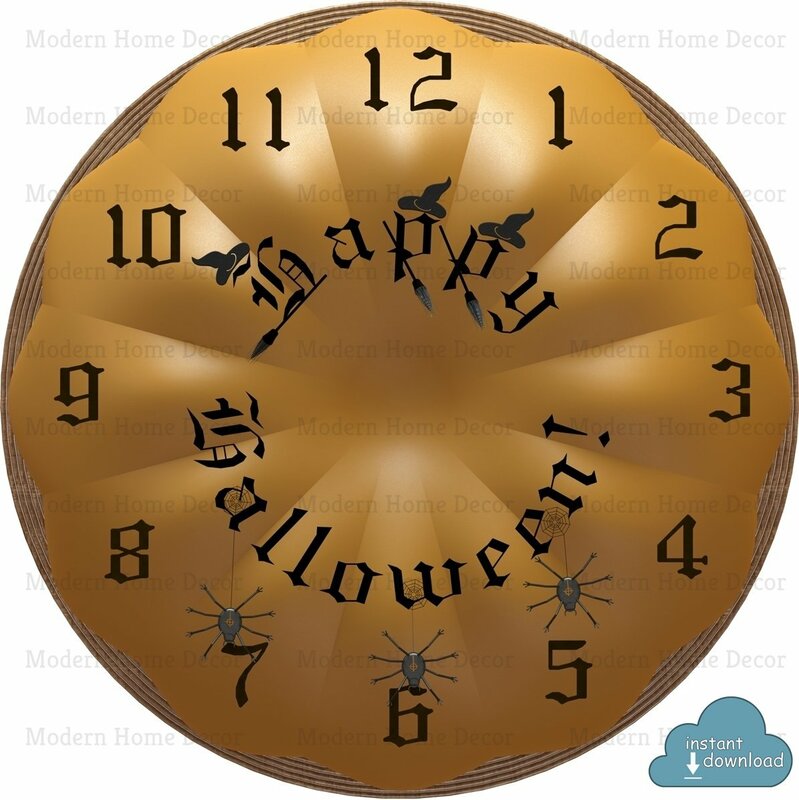 Happy Halloween Clock Face Instant Download. "Happy Halloween" Clock Face. Pumpkin Clock Face Printable. Instant Download. You purchase high resolution 8" X 8" (approx.20 cm) 3600 x 3600 JPEG image (300dpi) that can be printed at home! It's a great supply for making a stylish wall clock. Big enough to make a large, about approx. 19" (30cm) diameter wall clock, but can be printed much smaller / larger without losing any quality.